On March 3, 2017 at 6:13 p.m., Galloway Township Police responded to a single-motor vehicle accident on Aloe Street by Berlin Avenue. According to Police, a 2017 White Lincoln MKC, driving eastbound on Aloe Street operated by Glen C. Dafcik, 57 of Galloway, left the roadway, struck a group of trees and overturned. Dafcik was wearing his seatbelt at the time of the accident. Dafcik was pronounced deceased at the scene by AtlantiCare Paramedics. 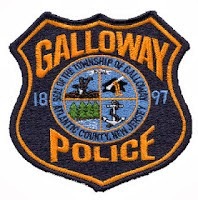 Galloway Township Police Department, South Egg Harbor Fire Department, Egg Harbor City Fire Department assisted in the accident.